A hike to Rankin Pond could easily called a leg stretcher for anyone driving along NY 28N in this part of the Central Adirondacks. This short 0.3 mile hike leads to a scenic pond in Vanderwhacker Mountain Wild Forest. This hike can be enjoyed by all members of your family. 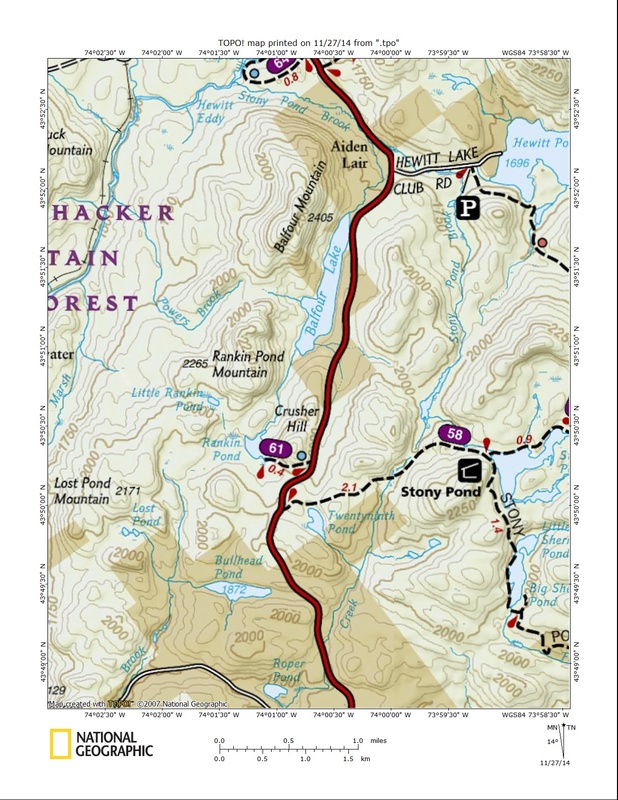 The trail begins off NY 28N and starts by running parallel to the road before turning, meandering for a short time, then descending to the pond. You are following blue markers on this trail. There are a few wet sections of trail and the edge of the pond is a bit marshy. We did not see any good camping spots near the pond. Don't let that deter you from exploring this scenic pond. Look below for a map and video of this great, short hike. Directions: Take NY 28N WEST out of North Creek toward Minerva. The start of the trail is located on the left, 0.3 miles north of the Stony Pond trailhead. There is a small pull off on the right, just north of the start of the trail. We recommend parking here. The GPS coordinates are N43 50.196 W74 00.732 for those who have a GPS devise in their vehicle.